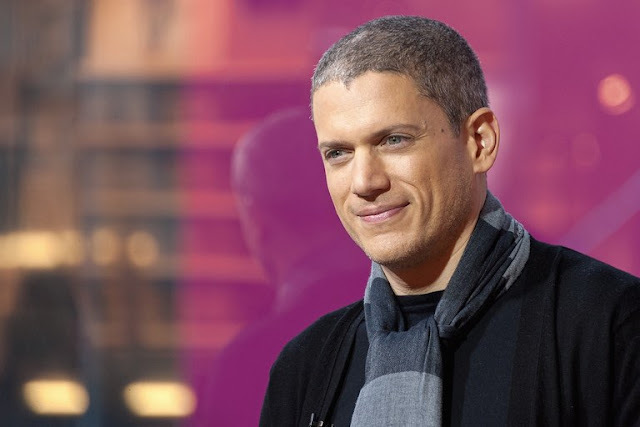 Wentworth Miller was born today, June 2, in 1972. He is an American actor, model, and screenwriter. 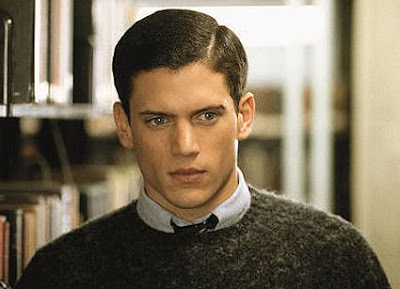 He rose to prominence following his role as Michael Scofield in the five seasons of the Fox series Prison Break. Miller was born in Chipping Norton, Oxfordshire, the son of American parents. His father, a Rhodes Scholar, was studying at Oxford at the time of Miller's birth. Miller said in 2003 that his father is black and his mother is white. Miller's family moved to Park Slope, Brooklyn when he was a year old. He graduated from Princeton University in 1995 with a bachelor's degree in English literature. After graduating from Princeton, Miller moved to Los Angeles to pursue an acting career. He has stated that his rocky road to stardom "was a long time in the coming and there were a lot of upsets and a lot of failures and roadblocks, but I couldn't walk away from it. I needed it like I needed air, it was just something I had to do." Miller's first TV appearance was as student-turned-sea monster Gage Petronzi on Buffy the Vampire Slayer ("Go Fish", 1998). Miller's first starring role was in 2002 as the sensitive, introverted David Scott in ABC's mini-series Dinotopia. After appearing in a few minor television roles, he moved on to co-star in the 2003 film The Human Stain, playing the younger version of the Anthony Hopkins character, Coleman Silk. He identified strongly with the core dilemma of the movie, about a black man who chooses to "pass" as white. Miller worked extensively on the role, not only in researching Anthony Hopkins, but by embarking on a four-month regimen to accurately portray Silk as a boxer. In 2005, Miller was cast as Michael Scofield in Fox Network's television drama Prison Break. He played the role of a caring brother who created an elaborate scheme to help his brother, Lincoln Burrows (played by Dominic Purcell) escape death row after being found guilty of a crime he did not commit. 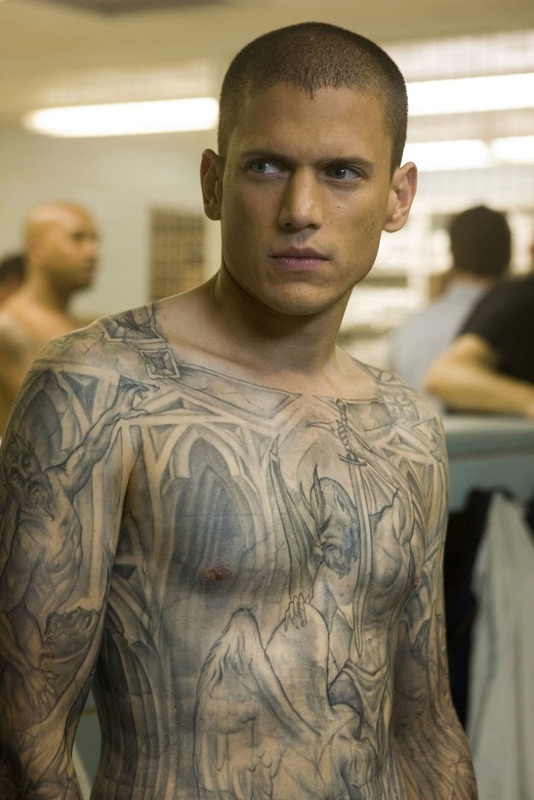 His character had a full upper body (front and back) tattoo. Covering both the front of Miller's torso and his back, along with both arms from shoulders to wrists, the special effects for the tattoo took over four hours to apply. His performance in the show earned him a 2005 Golden Globe Award nomination for Best Actor in a Dramatic Series. The show was finished in 2009 after four seasons, but a new nine-episode fifth season was released April 4, 2017, with Miller reprising his role. Miller wrote the screenplay for the film Stoker, as well as a prequel to Stoker, Uncle Charlie. He used the pseudonym Ted Foulke, later explaining, "I just wanted the scripts to sink or swim on their own." Miller's script was voted to the 2010 "Black List" of the 10 best unproduced screenplays then making the rounds in Hollywood. The film is about a teenage girl who must deal with a mysterious uncle following the death of her father. Miller described it as a "horror film, a family drama and a psychological thriller." Park Chan-wook directed, with stars Mia Wasikowska as the teenager, Nicole Kidman as the mother, and Matthew Goode as the uncle. The film was released in 2013, and received generally positive reviews from critics. 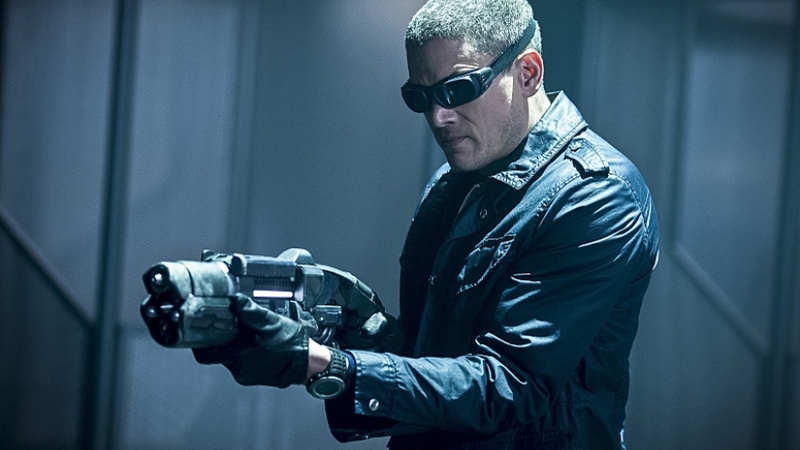 In July 2014, it was announced that Miller had joined the cast of The CW superhero series The Flash playing Leonard Snart/Captain Cold. He made his first appearance in the fourth episode of the first season, and reprised his role on Legends of Tomorrow. Miller exited Legends of Tomorrow as a series regular at the end of season one, but signed a contract with Warner Bros. TV to continue portraying Snart simultaneously on multiple shows in the Arrowverse. Miller wrote the screenplay for the 2016 horror film The Disappointments Room, produced by Voltage Pictures and Killer Films. He is reportedly in negotiations to write the screenplay adaptation of the novel The Story of Edgar Sawtelle by David Wroblewski, which is set to be produced by Oprah Winfrey and Tom Hanks among others. In 2007, Miller denied to InStyle magazine that he was gay. However, he came out as gay in August 2013, when he posted a letter on GLAAD's website declining an invitation to attend the Saint Petersburg International Film Festival because he felt "deeply troubled" by the Russian government's treatment of its gay citizens (referring to Russian LGBT propaganda law enacted the previous June which banned "propaganda of nontraditional sexual relations"). Miller wrote that he "cannot in good conscience participate in a celebratory occasion hosted by a country where people like myself are being systematically denied their basic right to live and love openly." 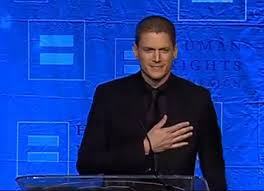 At the 2013 Human Rights Campaign Dinner in Seattle, Washington, Miller said he had attempted suicide multiple times as a teenager before coming out as gay. He said: "When someone asked me if that was a cry for help, I said no, because I told no one. You only cry for help if you believe there's help to cry for." He discussed struggling in Hollywood as a closeted actor, and talked about how his involvement in the ManKind Project helped him learn about brotherhood, sisterhood, and being part of a community. In a 2016 Facebook post, he revealed that he "[had] struggled with depression since childhood. It's a battle that's cost [him] time, opportunities, relationships, and a thousand sleepless nights." He made this emotional post in reaction to a meme of himself which poked fun at his weight gain in 2010. Miller said that his weight gain was due to him finding comfort in food as he was suicidal. Near the end of the post he provided links for organizations such as the National Suicide Prevention Lifeline and Active Minds. On October 17, 2016, Active Minds, a mental health charity, announced that Miller will be Ambassador for the organization. Miller currently lives in Vancouver, British Columbia, Canada. I have always had a man crush on this guy lol! I nearly lost it when I found out we play for the same team! It's sad to think that twenty years ago he would have never stood a chance breaking into Hollywood being gay and biracial, they would have rejected him not realizing what a talented person they were turning away.